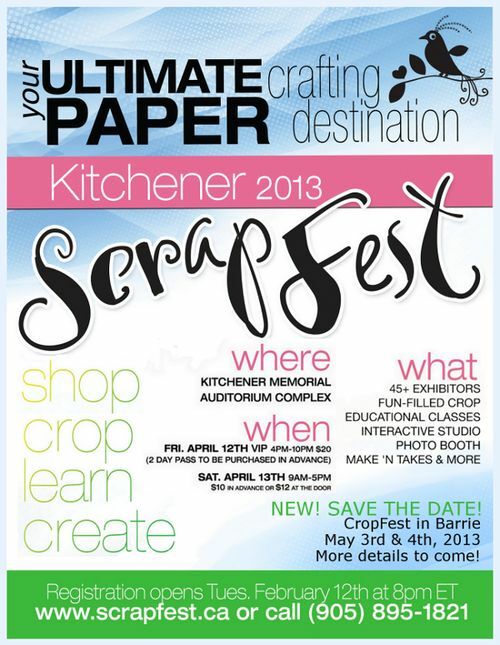 I will be exhibiting at ScrapFest in Kitchener on Friday night and Saturday this weekend. I have my fingers crossed that the weather will cooperate. Everything in my booth is on sale at rock bottom pricing. An Album in an Afternoon Scrapbooking kit that was listed at $15.99 is now $6 with a full sheet of chipboard stickers included (reg value $5.99). That is a savings of $15.98! Don't miss out…normally this will be the last scrapbooking show I do.